Located just a few kilometres south of Florence, the Certosa del Galluzzo is a forgotten temple of art and architecture. 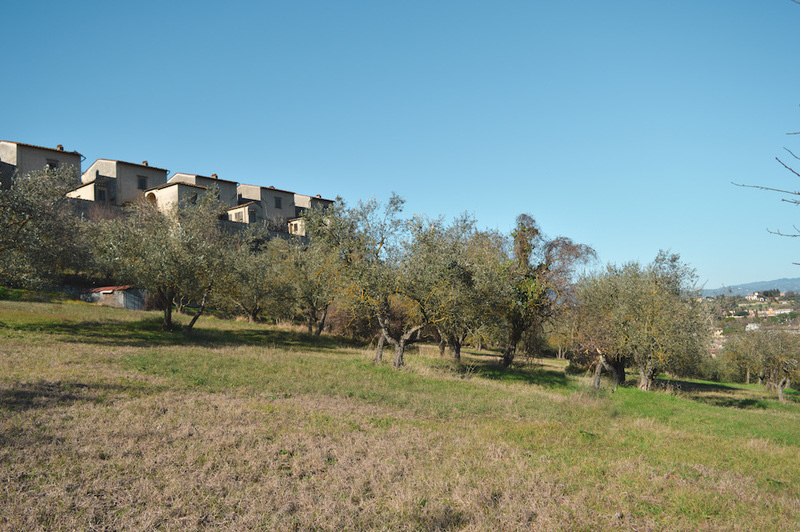 More than just a monastery this vast complex of winding corridors, deep basements and enormous open courtyards is an epitome of the Renaissance itself. “It might sound incredible but for years this place was looked after by two monks, totally on their own,” says Miranda, my guide, and volunteer for the Comunità di San Leolino, a community group which has managed the space since 2017. “Visiting used to be difficult and limited to really short periods, so the site got a little forgotten. Now we’re trying to change that.” Works are ongoing. Lots of the windows need replacing and most of the lower floors are still inaccessible. It’s clear, though, that progress is being made. As we walk around the grounds, people are clipping olive trees, plastering walls and lifting heavy blocks of stone around. “Most importantly the distillery is up and running again” says Miranda with a smile. As we sip a potent aniseed liquor, which is apparently known as the elixer di San Bernardo, she shows me some black and white pictures of the robed figures who, not so long ago, spent their lives in cells here, in quiet devotion. The Certosa at Galluzzo is not the only such structure in Italy. This type of monastery began to spread across the peninsula in the 14th century in tandem with the migrations of the French Carthusian Order. Some of the other examples, like that in Pisa, are small and quaint, reflecting the simplicity of that chosen way of life. Others, like the Certosa di Pavia or the Certosa di San Martino in Naples, are far more ostentatious and attest instead to the glamour and political power of the church. Galluzzo lies somewhere in the middle, somehow combining decadence and splendour with a more intimate spirituality. 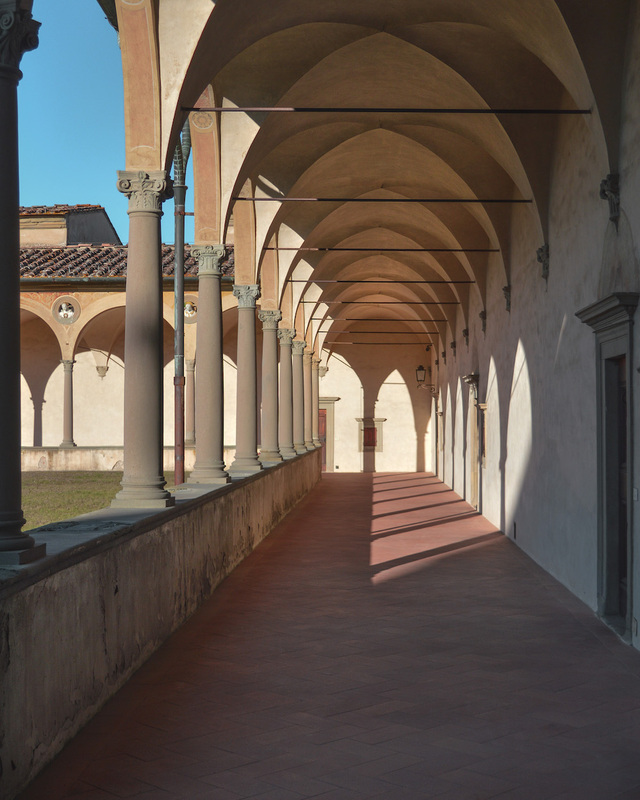 While most monasteries are places for quiet meditation, Galluzzo has always had a more complicated function, if only on account of its proximity to Florence. While its primary role was indeed as refuge for monks, it was also a stop-off point for intellectual travellers. As the Carthusians went about their worship, then, a whole range of individuals used to study here and write texts the cultural revolution that, in the fifteenth and sixteenth centuries, was gathering pace in the major cities. 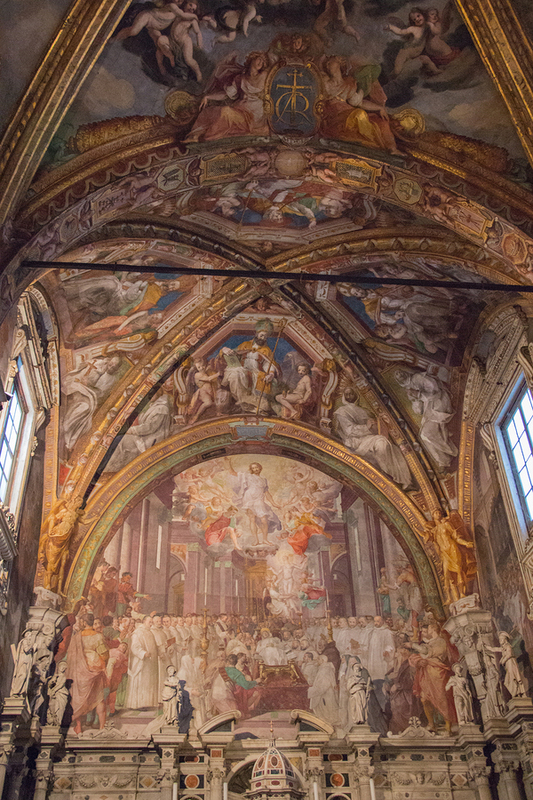 The Certosa, for this exact reason, is one of a handful of places in Tuscany that still holds some real secrets about that much-celebrated golden age. “Some of the works have already been taken to the Uffizi”, explains Miranda, “but there are still several pieces here that might be called forgotten masterpieces of the cinquecento.” Paintings by Ludovico Cardi, Giovan Battista Naldini and Jacopo Ligozzi do indeed serve as powerful reminders of the quality of Florentine art during this period. Giorgio Vasari, arguably the most important art critic of all time, was particularly enthusiastic about the collection and described the Certosa more generally as a kind of sanctuary for the creative spirit. The most impressive works by some way are Jacopo da Pontormo’s frescos of The Passion. Pontormo, who was a friend of Leonardo Da Vinci and much admired by the Medici, is one of several underappreciated geniuses of that great period of creative flourishing. Despite having suffered serious damage, his depictions of Christ before Pontius Pilate, and the Resurrection, to name just two, still possesses a drama and vitality that is entirely in harmony with the ideals of that age. Like this article? 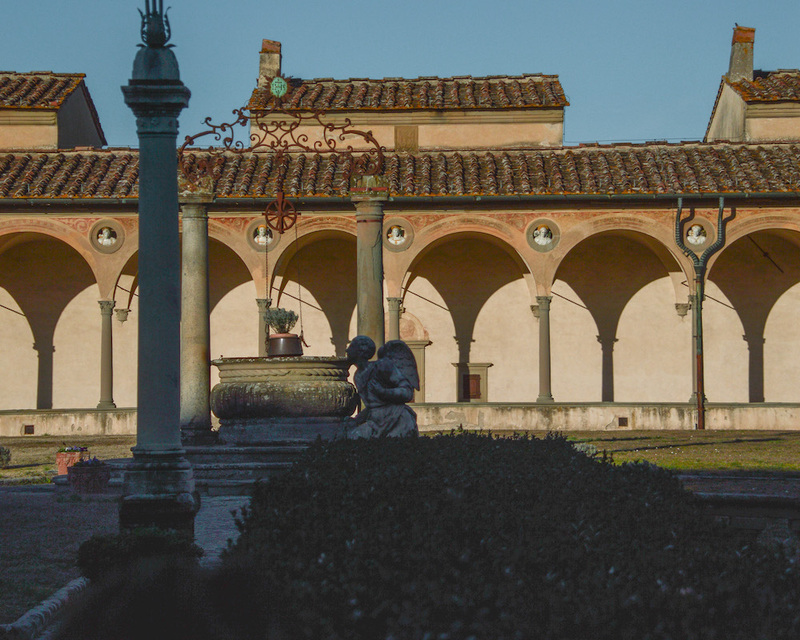 Don't miss "Day Trips from Florence: Scarperia"
The real reason to visit the Certosa, however, is the aptly named chiostro grande, a wide-open square cloister just behind the main church. This is without doubt the highlight of the tour but more than this it is one of the finest examples of neo-classical geometry in Tuscany, and a worthy rival to any specimens in Florence. In the twentieth century, countless architects came to study it, the most famous being Le Corbusier who found inspiration in the space for his daring modernist experiments in Paris. He and his fellow pilgrims were particularly fascinated with the epic scale of the structure, the symmetry of the pillars and the clever tricks of light which give the cloister the feeling of a giant sundial. There are smaller details to admire too. Each plinth, for example, has its own terracotta bust depicting a religious, political or mythological figure. One could easily spend hours here just inspecting each of the carvings, which are epic and archetypal but at the same remarkably individual and filled with character. Such a lifestyle, such a profound silence, certainly seems alien in today’s world and, honestly, it’s hardly surprising the tradition is dying out. There is a sadness to that for sure, but it’s also exciting to see a place like this, which has so much to offer for art lovers, open itself up to the public like never before. The time of the religious orders may be coming to an end, but even today the Certosa remains a great place for thinking, and clearing one’s head away from the stresses of modern life. Thanks to the renovation efforts, it is, more than ever, a must-visit site, a unique day trip which will cast a whole new light on well-trodden history. 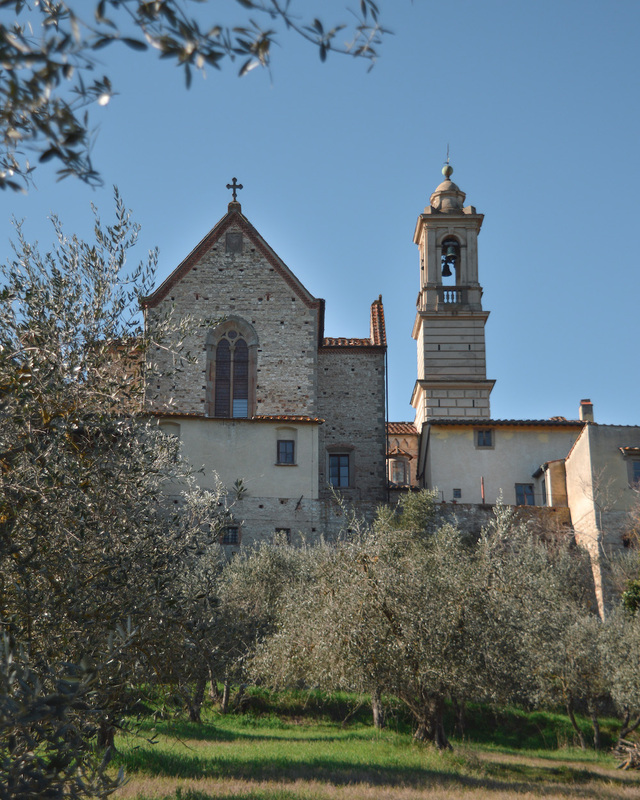 Fall in (in love with) Tuscany with KM Zero Tours!